Getting caught up with things here at the JCU, so a few issues of Hey Kids, Comics! are finally getting their overdue due. In this case, a special look at the various animated incarnations of the Justice League of America! Andrew Farmer and Cole Houston start way back in 1973 with the Super Friends, the first animated series to bring together something of the JLA. From there they set their sights on Super Powers, Justice League, and Justice League Unlimited! Join the discussion as your hosts reminisce and explore four iconic series that defined DC Comics heroes for several generations. Hey Kids, Comics! #286 - Now What? A classic title that ran from 1977 to 1984 in its original run. Then started up again in 1989 and kept going at intervals, often with large gaps through 2015. Marvel plans its return, so the timing was perfect for this issue of HKC! Join this lively exploration of the most interactive comic series ever published. A title that has intrigued and entertained for decades and picked up on the possibilities that existed in classic and obscure Marvel tales! And from time to time, just had a bit of fun, too. Yet again things at the JCU are running behind schedule, so there has been a delay getting the final chapter of “Family Reunions” into play here. Your hosts Andrew Farmer and Cole Houston are back in the saddle and catching up on the end of this arc and a couple of upcoming shows to post this week. 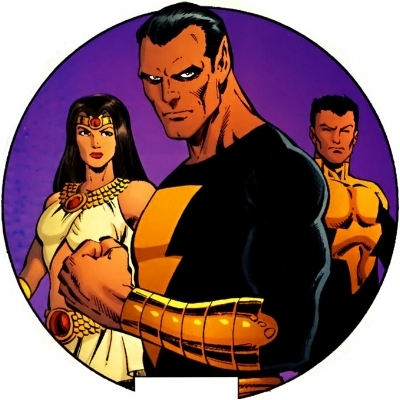 Closing out this arc, your hosts take a look at one of the oldest families in comics, the Captain Marvel Family. With a Shazam! movie on the horizon, this is the issue of this arc that actually inspired the entire thing. Fawcett Publications’ most popular comic book, which once outsold Superman, gave the world a unique family of characters who share an association with a weird old magic guy down in the catacombs of the city that bears the company’s name. From shared powers to bizarre villains to anthropomorphic animals, this is the most whimsical, if often eyebrow raising, family in the arc. It won’t take an anagram of mythic proportions to enjoy this episode, so just enjoy the tale of an orphan boy who’s family kept on growing after he became a hero. Due to unforeseen entanglements (pun intended) this issue of HKC! ran late, but has arrived "just in time". Fans of Ol' Web-Head's early animated appearances will get the joke. But it is no joke that Andrew Farmer and Cole Houston have returned to usher in the next-to-the-last issue of the "Family Reunions" story arc, this time exploring the Spider-Man family! Perhaps the most unique family dynamic of the arc thus far, Peter Parker and his alter-ego share a lot in common with other characters profiled in the family dynamic. With a minimum of blood relatives and ever-growing circle of friends and associates (as well as alternate reality incarnations), Spidey's got quite a family thing going! The advent of the Spider-Verse simply adds to the diverse mix of "Spider-Folks" that have come to populate the life and work of Your Friendly Neighborhood Spider-Man as you will discover in this overview of a family that grows like a well-woven spider's web! The Rantcor Pit goes small this outing with a look at the fascinating career of a Star Wars icon since 1983, Warwick Davis! Proving that short help is better than no help at all, a twist of fate on location in Redwood National Park landed a pre-teen Davis the role of Wicket (the full name will not be spelled out here), the plucky Ewok who befriends Princess Leia. A role he would reprise twice on television before adding another cinematic icon to his resume, Willow Ufgood! The title creature in Leprechaun, varied roles in the Harry Potter series, The Chronicles of Narnia, and additional Star Wars roles would follow, as well as the brilliantly hilarious television series Life's Too Short. From Star Wars' own teddy bears to an unexpected career spanning decades, Warwick Davis proves an amazing topic for Your Favorite Star Wars Guys, Cole Houston and Eddie Medina. The boys got a bit of a late start last week due to many a difficulty, but that just means that there will be two issues in the "Family Reunions" arc in fairly short order. 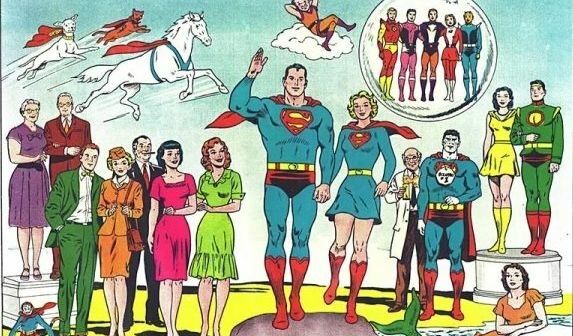 This week Andrew Farmer and Cole Houston explore the real first family of comics, the Superman family! Krypton may have been obliterated, but one child escaped to become the sole survivor of a culture light years from Earth. Or so he thought. As the ultimate orphan, Kal-El aka Clark Kent aka Superman created his own family dynamic wherever he could find it on his adopted world, in his past, present, and even future. Join your hosts in exploring just what kind of family do you wind up with when you have two sets of parents, lots of girlfriends, plenty of hometown and big city pals, and even blood relatives you thought met the same fate as countless Kryptonians! Once upon a time there was no Star Wars. But that would not be a condition for long! Back in 1976, what was then known as The Star Wars was in pre-production and ultimately production...and the world had no clue what was about to happen! Juxtaposing the state of film, television, toys, and more in 1976 against what true fans of that Galaxy Far, Far Away have known for decades, your hosts Cole Houston and Eddie Medina discuss the year before Star Wars came out and a cultural phenomenon began. Joining them for this pop-culture exploration is Revenge of the Fifth's own Vic Medina. All children during the American Bicentennial year, three lifelong Star Wars fans reminisce about their own experiences with the best that 1976 had to offer. Just over a year before its theatrical release, Star Wars began principle photography in Tunisia, a quiet beginning to a little movie that had few allies at 20th Century Fox and was poised to fail at the box office...as far as anyone knew in 1976. Enjoy this look back at the year before the year that Star Wars took over the world! 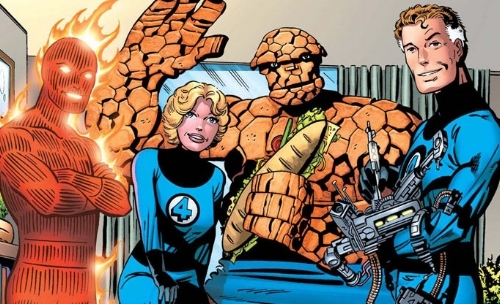 "Family Reunions" continues with a look at comics' First Family, the Fantastic Four. And as that which defines family is truly diverse, so are the facets of this family dynamic. When a brilliant scientist and inventor persuades his old college buddy to pilot an experimental rocketship with him and his girlfriend...and her brother, no less, you have a recipe for a super-hero family. That family in turn grows larger and larger over the years as allies and friends become part of a group that goes from quartet to symphony orchestra! So join your hosts Andrew Farmer and Cole Houston as they explore the family dynamic of the Fantastic Four from brother and sisters to husbands, wives, girlfriends, and close family friends...and frenmies. Blood does not always make family. Sometimes there is the family that you choose, or that chooses you. Welcome to a brand new story arc for HKC!, Family Reunions. This being a five-issue exploration of some of the comic book families that are comprised more of colleagues and allies than of actual relatives. To kick things off, Andrew Farmer and Cole Houston discuss one of the largest, oddest, and most loyal families of this kind that can be found, the so-called "Batman Family". You don't have to be a Wayne to be a part of this family, or, more often than not, to get an invite down to the Bat-Cave! From Robin the Boy Wonder(s) to a certain deformed handyman, the oft dysfunctional (no surprise there) Batman Family proves as challenging as it is fascinating to explore. Fight! That is the theme, in a sense, for this week's issue of the show. 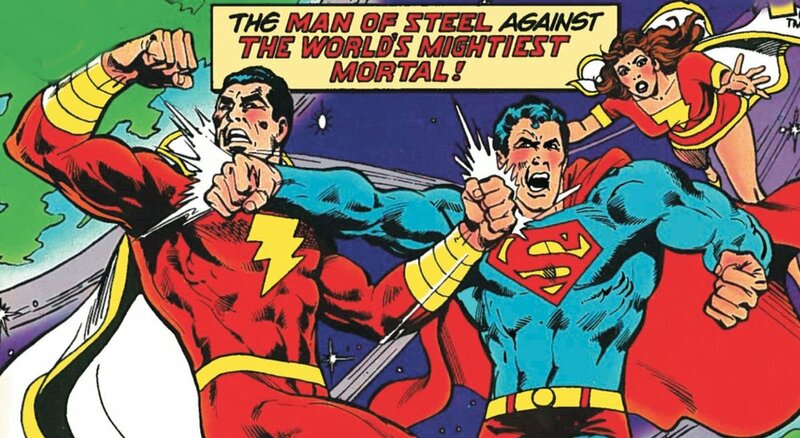 More specifically, the kind of comic book smack down that began in about 1990. Dark Horse Comics' ever-popular "Aliens vs. Predator" would prove such a piece of comic book history as it set off an avalanche of "vs." scenarios that perpetuate to this very day. The cross-company or cross-license comic was by no means new, but it did enjoy a Golden Age that was sparked by the meshing of two movie licenses that seemed made for one another. Concentrating on such cross-company or cross license standoffs, your hosts Andrew Farmer and Cole Houston do battle for an hour with some of the most fascinating (and most eyebrow raising) "Blank vs. Blank" comics ever seen. Welcome to a unique new issue of HKC! in which your hosts Andrew Farmer and Cole Houston explore the nature of long-running comic characters and storylines that simply would not fly today. Many are the stories and characters that would be hard to sell in this day and age, some of which might surprise you. One hour is scarcely sufficient to cover such a topic, so this is likely not the last time your hosts will delve into the problematic denizens of comics. At intervals the publishers have corrected their errors of judgement, but for the most part the awkward ones still stand. Part of the show looks into a few examples while shining a stark spotlight on characters that perhaps should never have graced the pages of our favorite comics. Enjoy all of this and a few attempts at pitching such characters to a contemporary editor! Note: When originally recorded, this episode was mistakenly referred to as #72. The Force of July concludes here! And not a moment too soon! And while this is officially the 75th episode of the show, "Your Favorite Star Wars Guys" got thrown off on their numbering and refer to this as #74 and look forward to a milestone they did not know they hit! So welcome Star Wars fans to another Rantcor milestone! This outing Cole "JediCole" Houston and Eddie Medina talk extensively and at length about one of their mutual favorite aspects of the Saga, Mos Eisley Cantina! Chock full of iconic aliens, it was this scene that instantly peopled the Star Wars universe and captured the imagination of audiences for decades. Sharing behind-the-scenes history, personal thoughts and observations, and some on-screen insights, Cole and Eddie just can't say enough about the patrons of the bar that set the stage for a species-rich Galaxy Far, Far Away. So join two Star Wars fans who love them some Cantina denizens and can't seem to keep track of the numbering of their show as they order up a spiked blue milk and settle in to "people watch" at the best watering hole on Tattooine. While "Hey Kids, Comics!" may not have an Annual, well, annually, there are a few things that this show does manage every year like clockwork (ish). The annual Summer Fun issue is certainly one of those thing and that thing is here now for your fun during the summer! Comic books, well, super-hero comic books, are chock-a-block full of the most insidious of evil and dangerous villains. And then there are those that, as Dr. Evil would say, are the "Diet Coke of Evil". One little calorie. Not evil enough. Try though they may, some folks are just not cut out for the bad guy biz. So it is that this week your hosts Andrew Farmer and Cole Houston pull no punches when it comes to exposing, exploring, and poking fun at the worst of the worst, literally, that comics over the years have had to offer. While all super-villains have high ambitions, not all will be the next Doctor Doom! The many uniforms of Sportsmaster! With sincere apologies to both Arnim Zola and Doughboy, we simply did not manage to get either into the mix this summer! Note: When originally recorded this episode was mistakenly referred to as #73. Posters. The paper heralds of so many wonderful things, not the least of which is Star Wars. Often the movie poster, or one-sheet, was the first glimpse into what was "coming soon" for the Saga. Welcome at last to the third (of four) July episodes of The Rantcor Pit as part of the annual Force of July celebration! This outing Cole Houston and Eddie Medina take a look at some of their favorite posters of and for Star Wars over the years. From theatrical one-sheets from around the world to promotional posters and fast-food giveaways, your hosts delve into their all time favorites from decades of the medium. Enjoy this theater of the mind audio exploration of Star Wars posters! After far too many years without one, Hey Kids, Comics! now has an Annual for 2018! And what better way to bring back this staple of comics than with the annual rant about San Diego Comic Con exclusives! For years now SDCC exclusives have been a bone of contention for Andrew Farmer and Cole Houston. With few exceptions there are the offerings that are only available there that whet their appetite for collectibles while offering no relief. This year featured a bumper crop of the unobtainable, so they are joined by friend of the show Michael Fraley at the empty banquet table. So without further delay, the JCU brings you the annual HKC! rant as an Annual! It's team-up time again, folks! Andrew Farmer and Cole Houston have a great one for you this time, The New Mutants! Premiering in 1982's Marvel Graphic Novel #4, The New Mutants were the next generation of X-Men in training. The one-shot story would prove to be an ideal springboard for an ongoing series that ran 100 issues before becoming X-Force! 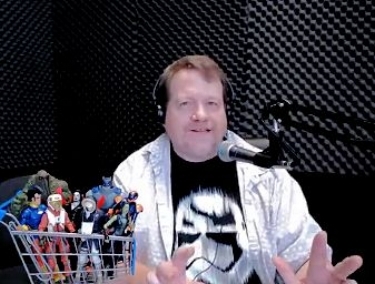 Your hosts are joined this week by friend of the show and long-time fan of the X-Men franchise, Steve McCauley! With a personal history with this and other X-titles, he brings a wealth of buried memories to the fore. So prepare yourself for a look at a title that generated a wealth of, well, new mutants both good and evil as it explored the life of some of Xavier's newest gifted youngsters! "The Force of July" continues with a well-timed episode that looks at the holidays between, well, July and December and associated Star Wars merchandise! Cole "JediCole" Houston and Eddie Medina pick up where they left off half way through the year exploring July 4, Halloween, and Christmas most predominantly. With two heavy hitters at the tail end of the year, from the standpoint of collectibles and merchandise, this episode runs a little long out of necessity! Join the fun as your hosts discuss and discover the myriad ways that Star Wars licensees have churned out holiday products over the last 40 years or more. Expects some old favorites, a few surprises, and a whole lot of holiday cheer in this second of four (to five) episodes in July. This show is going to catch up with "The Rantcor Pit Live eventually! Hey kids! The show is back at last! This issue of the show Andrew Farmer and Cole Houston mimic Steve Martin in the 70s and "get small"! But then one kind of has to when approaching the subject of Ant-Man on the big screen! You are now entering Spoiler Territory! The Rantcor Pit Live's intern and the JCU's resident movie buff Stephen Fett joins a lively discussion on what all three feel is one of the best movies in the ten year history of Marvel Studios. Holding nothing back, they talk about a lot of aspects of the film that you might want to see for yourself before hearing their words. Ant-Man and the Wasp provides all of the elements of an ideal super-hero film with action, over the top characters, a sprinkling of humor, plenty of things for comic fans to hang their hat on, and, in the end, a story about family. So join the HKC! family as they look at the tiny details of a really big movie! There are, from time to time, those topics that Andrew Farmer and Cole Houston set themselves to task to tackle for this show that leave them wondering if anyone would know the difference if they never did a show on such subjects at all. The Archie Comics-based television show "Riverdale" is one such subject. Yet they persevered and used it as a springboard for anther HKC! milestone. With a history that spans decades, retooling Archie Andrews and company for modern audiences had to have been a challenge, one accepted and met by the producers of Riverdale. Turning everything you ever knew or heard about "America's Favorite Teenager" (and technical septuagenarian) on its ear, this show explores the hidden corners of otherwise idyllic small town life. Definitely not the life with Archie that so many Americans grew up with, Riverdale presents the iconic gang in a vastly different light that hits its notes with near perfection and avoids the all too common pitfalls of "teen angst" shows of the past. Enjoy your hosts exploring and coming to grips with a program that invokes a comic book with which they have the most minimal of personal history. Note: When originally recorded, this episode was mistakenly referred to as #71. The Force of July is kicking in with the first of four weekly episodes of The Rantcor Pit! To start off the month-long celebration of "The Star Wars", Cole Houston and Eddie Medina take a look at Saga merchandise for the holidays. Those that fall between January and June, in the U.S., anyway. From New Year's Day in January to Father's Day in June, there is (and has been over the last 40 years) a wealth of Star Wars merchandise to be discussed and remembered. So much that what began as one episode was split into two! Stay tuned for the July through December episode coming soon! 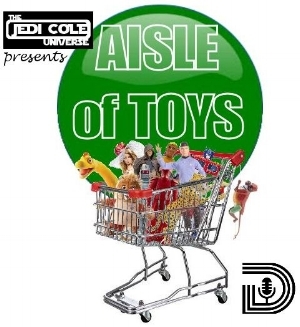 Though it is now two months old, nearly three, it is time to introduce fans of the JCU to JediCole's latest endeavor, "Aisle of Toys". Launched on Sunday, August 20, 2017 as part of the Dallas OnAir lineup, this new live-streaming podcast explores one of Cole's passions. With the intention of delving into all varieties of toys, this new monthly program will focus on a different toy or toy line, genre of toy, or toy collector. Discover a universe of popular toys with in-studio guests and prerecorded segments, among other features, each and every month right before the second monthly episode of "The Rantcor Pit Live" (with Cole and Eddie Medina). The next live episode will stream from 9:30 - 10:30 AM Central on Sunday, October 20, 2017 on Dallas OnAirThose Robots in Disguise - the Transformers - will be the topic of discussion. 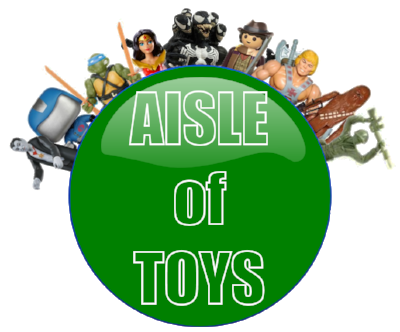 Click here to see the "Aisle of Toys" show page and archive of past episodes. Click here to link to Dallas OnAir to catch "Aisle of Toys" (third Sunday each month, 9:30-10:30 AM Central), "The Rantcor Pit Live" (first and third Sunday each month, 10:30-11:30 AM Central), and Eddie's new show "Figments" (first Sunday each month, 9:30-10:30 AM Central). Stay tuned for news of upcoming interactive features with Aisle of Toys including "What's in Your Detolf? ", or just watch the show each month!